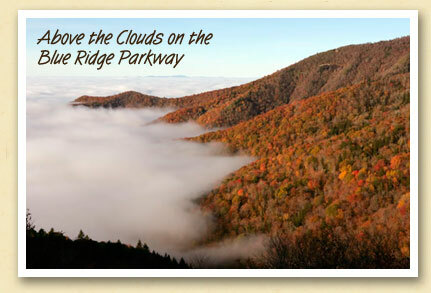 This week’s double postcard illustrates the perfect beginning and end to a day in the Smoky Mountains of Western North Carolina. 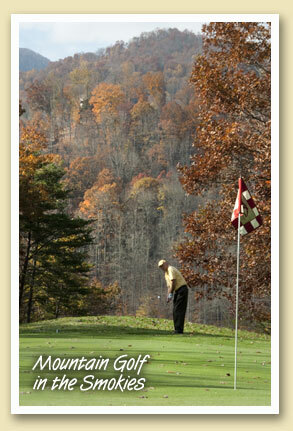 The misty morning view is what John and Nancy Greenfield see from their condo at Smoky Mountain Country Club in Whittier (Photo by Nancy). 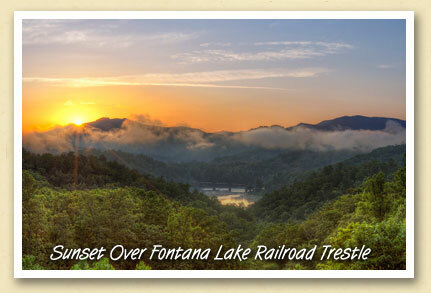 And Bruce Watson, a visitor from Huntersville, NC captured the spectacular sunset from the ‘Moonshine’ Cabin, near Bryson City. 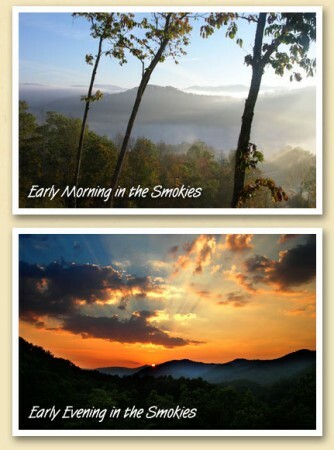 If you want to know what happens between sunrise and sunset, simply browse through the more than 100 Postcards From The Smokies we’ve published over the past two years. 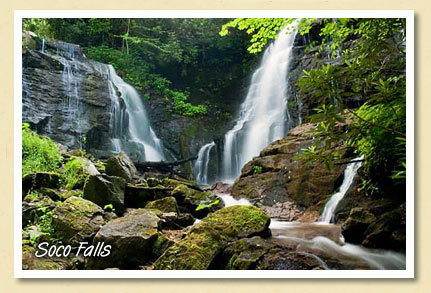 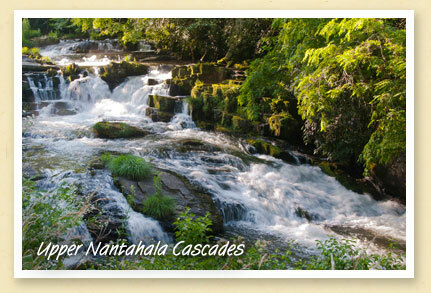 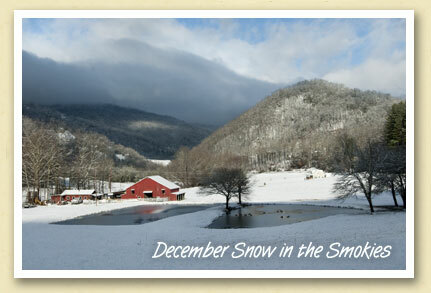 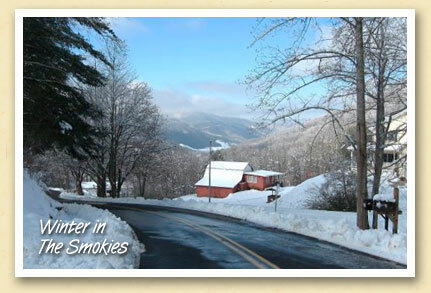 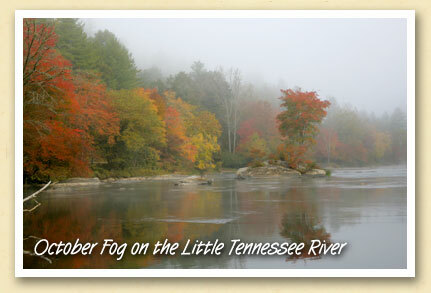 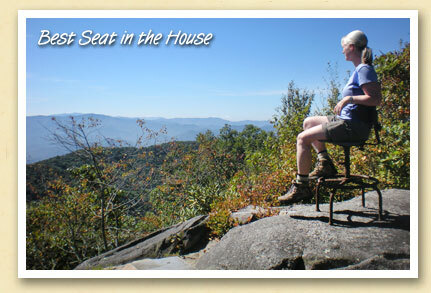 It’s a composite picture of small town life in the Great Smoky Mountains of North Carolina. 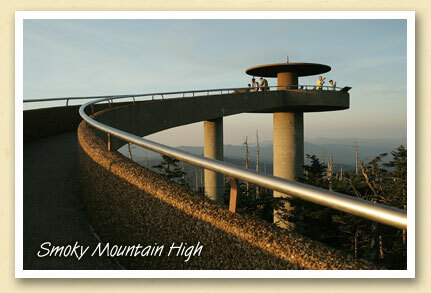 At 6643 feet, Clingmans Dome is the highest point in the Great Smoky Mountains National Park. 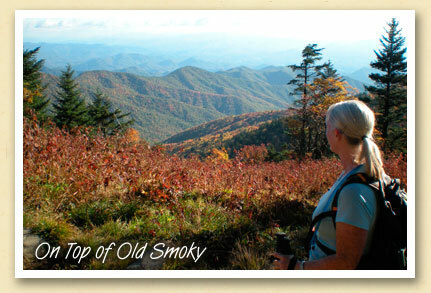 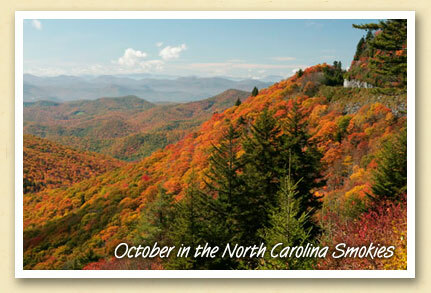 Located in the northernmost part of Swain County along the North Carolina–Tennessee border, the temperatures at Clingmans Dome are often 10 to 20 degrees cooler than Bryson City’s. 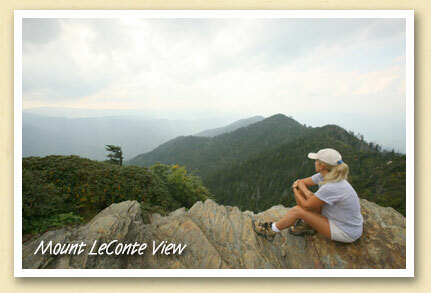 On a clear day, take the (steep) half-mile walk from the parking lot to the observation tower, and you’ll be rewarded with a stunning 360-degree view of the Smokies and beyond. 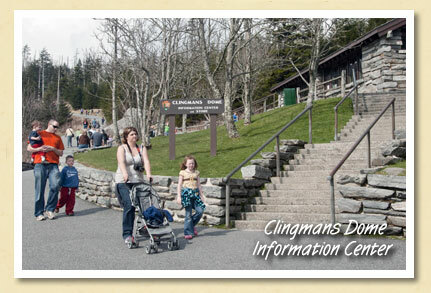 The seven-mile road from US 441 to Clingmans Dome is open Aprll thru November. 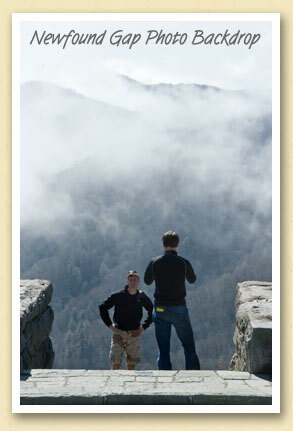 Photo by J.R. vanLienden, Masterpiece Portraits.